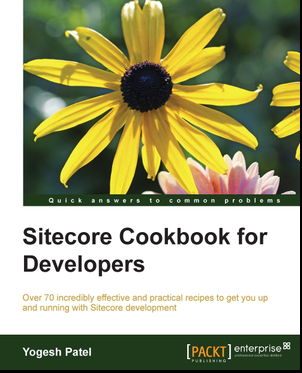 Most of us might have faced issues with Sitecore performance and slow sitecore instance. Then first step should be referring Sitecore's suggestions: Optimizing Sitecore Performance. If you already referred, here are few more tricks to optimize sitecore performance. Prefetch, Data and item cache sizes should be configured as needed. You may start with a smaller number of cache size and tune them as you find use of items increasing or depending on performance we get. Sitecore cache tool (/sitecore/admin/cache.aspx) can help us to check Sitecore cache utilization. Sitecore says: Increase and tune the size of the data, items, and prefetch caches. Bigger caches = better performance. We can change size of cache of whole Sitecore instance using below settings in web.config. The more Prefetch Cache, the more time taking in Sitecore Startup, but it might help loading Content Editor and Page Editor faster. Less Prefetch Cache, makes faster startup, but might get slower CE or PE. If you are using separate Publish Instance, keep Prefetch cache as minimum as possible on PI. Caching can be a on-going process until you are not set with your optimized cache settings. Cache Clearing is a very critical process, can slowdown the application. Whenever heavy publishing occurs, template are changed/published, heavy item creation/deletion/updation going on Sitecore, cache clearing occurs, preventing/optimizing these cases can help to prevent cache clearing. Cache size occupied in memory would vary from the cache sizes set in config because it is not easy to estimate .NET object size accurately. So there are chances that dataCache, AccessResultCache, etc. can grow more than its specified value. If you are newer to Sitecore caching? Read How Sitecore Caching Works. Read more about Sitecore Prefetch Fetch configuration & quick startup. Sitecore allows us to use .NET sublayouts and XSL renderings in Sitecore’s caches to improve performance. We can apply HTML cache using sublayout caching, this improves performance drastically. When sublayout caching is on, its HTML cache (HTML output) will be cached, all other subsequent requests will be served from the HTML cache itself. So, no more database interactions for the sublayout. :) Just to make a note, HTML cache will be cleared on live server when any publish is done. Removing unwanted things is as important as doing optimization. Sitecore instance has many jobs/tasks running in background. i.e., urlagent, cleanup agent, etc. We can disable them if they are not useful or increase their time interval to execute. The agents can be found from web.config under <agents> section and the tasks can be found from Sitecore itself on path:/Sitecore/System/Tasks/Commands. Enabling Browser caching and Compression to CSS and JS will give a big performance improvement on page browsing and requests reduction on server. GetDescendants is a very costly method to list out items. It recursively fetches all items upto the last level under the given item. Even if we need to get all items up to 2nd level, this function will traverse through n level. It does not only list the items but also fetches Item details (by filling DataCache and ItemCache). So, Sitecore Item architecture should be setup in such a way that item details can be fetched from first or second level from where we are fetching items. On each publish, Sitecore is is clearing Cache of published or related items. i.e., if an item is published from master to web, Sitecore needs to update this item on web database (live servers). So, Data Cache, Item Cache are cleared for the related items. Also, Html Cache is cleared for the whole site on each publish. So, it is always better to prevent frequent publishing or doing publishing after keeping few minutes interval. IIS 7+ gives a drastic improvement in performance compared to older versions. .NET Framework 4+ gives a drastic improvement in performance compared to older versions. Read Optimizing IIS performance and ASP.NET Thread Usage on IIS 7.5, IIS 7.0, and IIS 6.0 to know more above these settings. Thank you Arjunan for reading and commenting this blog post!